I’ve uploaded my second pattern onto the Ravelry website and it’s FREE! 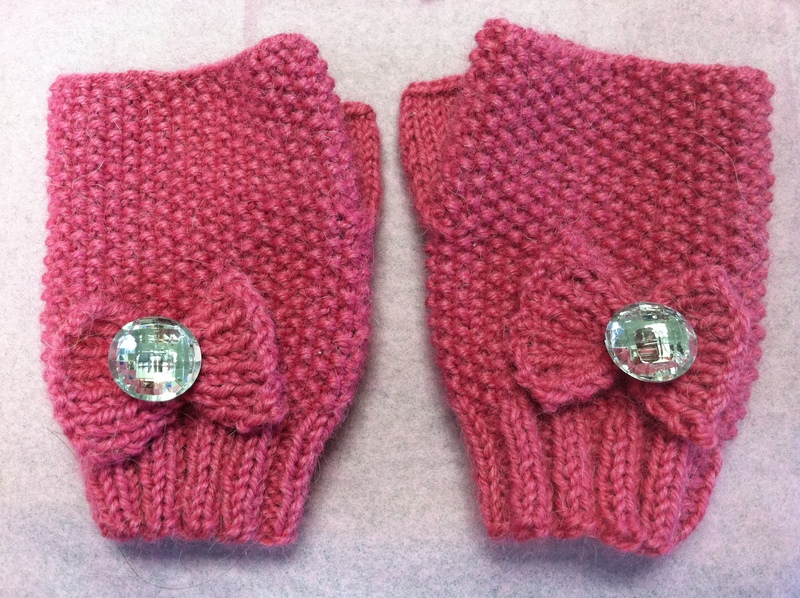 The Diva Mitts are knitted in the round, so there is no seaming to be done after knitting. The main part of the hand is knit in seed stitch or British moss stitch. It’s knitted from the cuff up and I’ve added some decreases after the thumb placement, so that the mitt fits a little better around the top part of hand and knuckles. A bow, knitted in rib, is fastened to the top of the hand with a big button. I used 1″ buttons on all of my tests. I think the button gives it a little extra something, and could be worn by any age. I plan on making a few more pairs for Christmas and birthday gifts. I’ve added the link to the pattern below. If you give my pattern a try, I’d love to hear your feedback. Enjoy and happy knitting!